For decades, rooftop units paired with elaborate duct work have been the most common HVAC solution; mostly because facility managers do not know about other ways of effectively heat and/or cool large, open spaces. Rooftop units may appear cheaper on paper, but if you add in the installation costs as well as utility consumption needed to properly heat and cool a large facility the cost difference becomes very apparent. 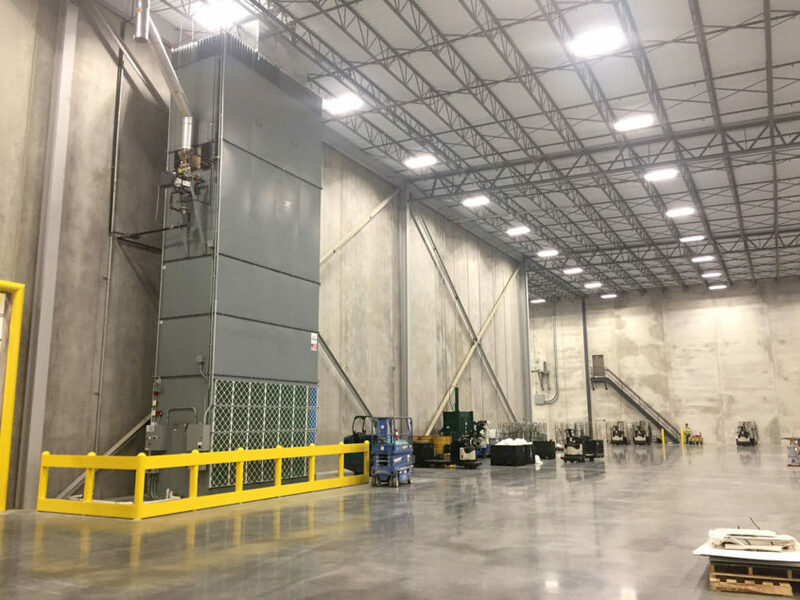 Johnson Air-Rotation HVAC Systems are the energy efficient, ductless alternative for large facilities, warehouses and distribution centers while also providing even temperatures throughout the entire space. Over the next five months we will be taking a look into what makes Johnson Air-Rotation technology a better alternative on certain projects. With a Johnson Air-Rotation HVAC System there is absolutely no need for duct work to move conditioned air inside the space. Johnson Air-Rotation’s technology allows you to save a tremendous amount of money on the total first cost purchase as well as throughout the life of the system. With no need for ductwork, no additional rooftop support, fewer utility hook-ups, and no rooftop penetrations, Johnson Air-Rotation just makes sense. Keep the duct work and added expenses in the past and turn to the future of conditioning large-open spaces, Johnson Air-Rotation HVAC Systems. Contact us today.